Scanning a credit card to buy things might seem like a simple payment method. There are some features of credit cards that make them convenient and even safer than paying cash for transactions. However, before anyone begins to use a credit card, it's important to understand exactly how they work. Because credit cards are actually a type of a loan, there are important details to consider for anyone choosing to use them. A credit card account involves an agreement between a lender and a consumer. The lender agrees to make a specific amount of money available for the consumer to spend, known as a credit limit. In exchange, the consumer agrees to pay the lender specific fees for the ability to use this money. The fees can include service and account fees that might be due yearly or more often. Fees also include interest on any account balance carried over past the grace period. The typical grace period is 25 days. As long as the consumer pays the balance in full, no interest will likely be due. Know Before You Owe: Credit Cards: The Consumer Finance Protection Bureau presents a simple credit card agreement to show people typical details included in this contract. Using Credit: Explore a brief overview of what credit is and how consumers might use it. Ten Things You Should Know About Debit, Credit, or Prepaid Cards: Using a credit card is basically the same as taking out a loan to pay for a purchase. As consumers use their credit cards, the credit card companies report these financial activities to credit bureaus. Credit bureaus compile this information into individual credit scores for each consumer. A credit score is a number that shows how well consumers manage their money. Higher scores show better money management, and lower scores indicate consumers who may have issues with late payments or too much debt. Improving Your Credit Score: Credit card use can have an impact on an overall credit score because credit card companies report activity to credit bureaus. To Get and Keep a Good Credit Score, Pay Attention to Your Credit Report (PDF): Consumers need to monitor information included on their credit reports to make sure that it is accurate. Understanding Your Credit Report and Your Credit Score: The way you manage your finances and your debt has a direct impact on your overall credit score. Paying Off Credit Cards: After using a credit card, you will receive a statement of the charges. The statement will offer a minimum monthly payment for consumers who don't want to pay a balance in full. Revolving credit describes a type of credit account that automatically renews as the consumer pays off part or all of the debt. Credit card accounts are the most common type of revolving credit accounts. Other types of loans such as auto or car loans usually have a fixed term and a specific number of payments due to pay off a balance. With revolving credit, no specific term exists and the payments due will change continually in connection with the balance of the debt. The Basics of Revolving Lines of Credit: A revolving line of credit makes cash available when needed. 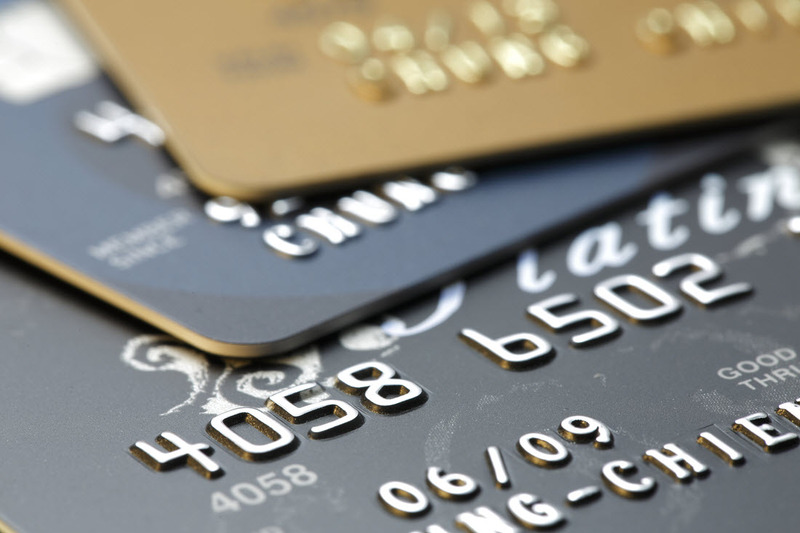 A line of credit often does not use a plastic card. Revolving Charge Accounts: A revolving charge account involves the lender providing a specified amount of money for consumers to use in exchange for fees and interest due based on the balance. Credit Cards: Credit cards are one type of revolving credit extended to consumers. Home Equity Lines of Credit: Who Uses This Source of Credit? (PDF): People who own their own homes may be able to use this ownership to get additional credit from banks. Lines of Credit: With credit approval, people can apply for lines of credit from lenders, which are loans. Credit card companies have to disclose interest rates and fees to consumers. These charges represent the amount of money it will cost to use the loan offered by the lender. Consumers can use a calculator to figure total charges. Interest rates and fees can change depending on the contract for the account. Generally, consumers can avoid interest rate charges by paying a balance in full during the stated grace period. Credit, Debit, and Charge Cards: The Federal Trade Commission explains interest rates and grace periods to consumers. Rising Credit Card Interest Rates and Fees: It's important for consumers to monitor interest rates and fees for credit cards because lenders can institute increases. Answers About Credit Card Interest Rates: Some lenders can charge higher interest rates than allowed by individual states depending on where a bank is located. Many credit card companies offer consumers rewards for using their credit cards. These rewards could be cash back, points that can be used for other purchases, free gas, or discounts on specific expenditures such as airfare, auto rentals, or hotel reservations. Consumers should analyze rewards carefully and use a calculator to make sure they are beneficial to use. For example, some credit card companies might add other fees for an account, making it more expensive to use these credit cards overall. Rewards Rollercoaster (PDF): Credit card companies might offer consumers points they can use to purchase hotel stays or airfare. Credit Card Guide and Usage (PDF): Credit card rewards often entice consumers to use credit cards. It's important to make sure that the credit card company does not charge extra fees in exchange for rewards. Credit Card Lending (PDF): Increased competition between lenders has caused them to begin offering consumers more rewards such as cash back, points, free gas, free airfare, and free phone time. Using credit cards can be a convenient way to make purchases. Credit card purchases make it possible to carry less cash in your wallet, which might avoid loss and theft of cash. However, responsible use of credit cards involves using them only for purchases you can afford to pay off in full at the end of the billing cycle. For example, using a credit card to buy a car is not prudent or responsible use. Charging more than you can afford and carrying a balance can result in significant interest fees on a debt. 51 Ways to Save Hundreds on Loans and Credit Cards (PDF): Responsible credit management includes not opening too many credit card accounts and paying bills on time. Credit Repair: Responsible use of credit cards includes making timely payments and keeping balances low. Credit Counseling Agencies: Consumers experiencing debt problems might get assistance from a credit counseling agency, but caution is warranted due to the potential for fraud from some companies. Consumers need to monitor their finances regularly to ensure that issues do not occur. For example, the statements received every month from credit card companies will contain a list of all transactions completed during the billing cycle. With examination, you should verify that every charge listed on the statement was one that you initiated. If you find any erroneous charges, contact the credit card company immediately. The credit bureaus also offer consumers one free copy of their credit reports each year. Request your free copies each year to ensure that all information contained in the reports is accurate. The credit bureaus offer a system for consumers to resolve credit report errors also. Know Before You Go... To Choose or Use a Credit Card (PDF): Although consumers have protection against fraudulent charges, it is still important to monitor credit card statements continually. Identity Theft and Your Social Security Number (PDF): A thief may steal credit card statements or other mail to get access to Social Security numbers. 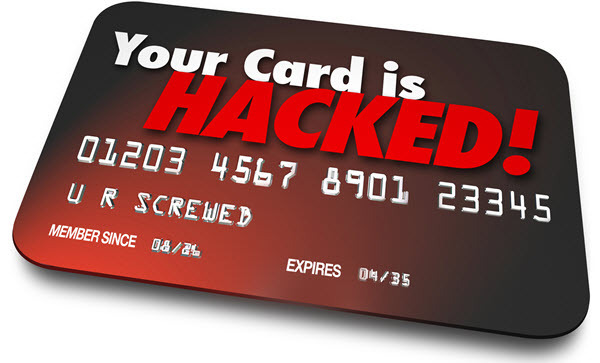 Credit fraud includes unauthorized use or theft of a credit card. Contacting the credit card company directly is typically the first step if you suspect credit fraud. When you report unauthorized use of your credit card, the credit card company will respond by freezing the account to prevent additional charges from occurring. The credit card company will investigate the fraud to resolve it. Federal law limits consumer liability for credit card fraud to not more than $50 per card. Consumers can also contact their local law enforcement agency to report a theft. Credit Cards: Consumers with issues with a credit card should always try to resolve the problems with the credit card company directly. Protect Yourself From Credit Fraud: Credit fraud can include theft or unauthorized use of credit cards. How to Dispute Bogus Credit, Debit, and ATM Card Charges: The Minnesota attorney general offers information about how to dispute incorrect or fraudulent credit card charges. It is important to note some protections afforded to credit card holders do not apply to debit cards. Many consumers prefer to use their credit cards widely both for rewards points and the additional protections offered. The key to ensuring the benefits exceed the costs of using credit cards is to pay the bill in full each month, so large interest payments do not become a monthly expense.